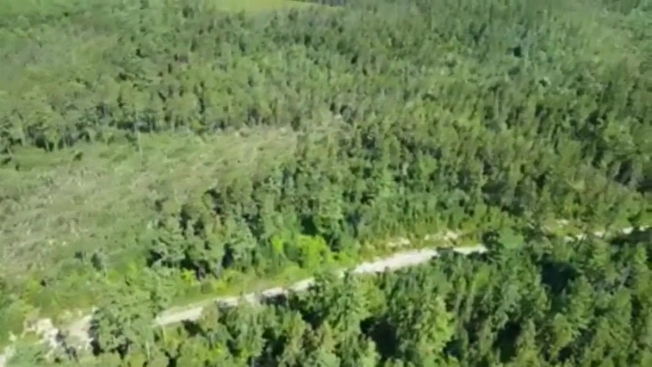 Two tornadoes touched down late Saturday night in Maine. Two tornadoes touched down in Maine last weekend, the National Weather Service confirmed Tuesday. The tornadoes touched down late Saturday night, with wind speeds between 86 to 110 mph. The first one formed between Millinocket and Grindstone, while the second one hit in Sherman. The first tornado snapped or blew over more than 1,000 trees for nearly two and a half miles, while the second seriously damaged the roofs of a barn and a house and destroyed a chicken coop. It's unclear if anyone was injured. A tornado was recorded touching down on Sebago Lake in Maine on July 1, 2017. Such a tornado over water is also called a waterspout. The tornado flipped a pontoon boat, but there were no reported injuries.